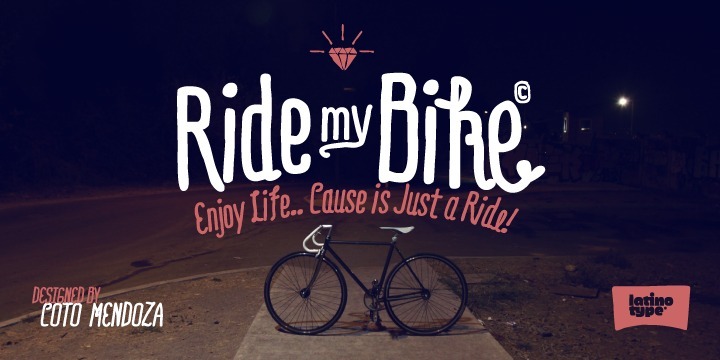 Ride my bike can be referred to as a spanking new handmade typeface. This is inspired by a combination of typical street style and the modern culture that pedals across the city. The font also makes an ideal choice for representing brands, headlines, and fashion photography. The Pro version will display its foremost characters, alternate characters, terminals, and ligatures. This version comprises of over 600 glyphs. It consists of about 91 dingbats.